Eddie Izzard aims to become a Labour politician and will be supporting Jeremy Corbyn in the General Election, the comedian has revealed. David Czerwonko snatched the comedian's pink beret during a pro-Europe march causing Izzard to give chase while wearing high heels. Eddie Izzard gave chase in high heels after the beret was taken during a protest in Whitehall, central London, on Saturday. After 27 marathons in 27 days, the actor and comedian celebrated the end of what he called 'the toughest thing I've ever done'. After completing four marathons in four days, the comedian has visited a hospital in South Africa. Eddie Izzard has explained he painted a Union Jack and a European Union flag on his fingernails as "a political statement" about his identity as a "British European transvestite". The comic, who is a long time Labour supporter, also brushed off the prospect of being insulted by Scottish Nationalist supporters after lending his voice to the Better Together campaign. Reporters laughed as the cross-dressing comedian said "You've got to realise I am a transvestite, I've already had a lot of negative things said to me over the years." Eddie Izzard has lent his voice to the Better Together campaign, urging Scots not to leave the UK. The comedian said he was speaking up for English, Welsh and Northern Irish people who are "probably not being heard" but who want Scotland to remain part of the union. 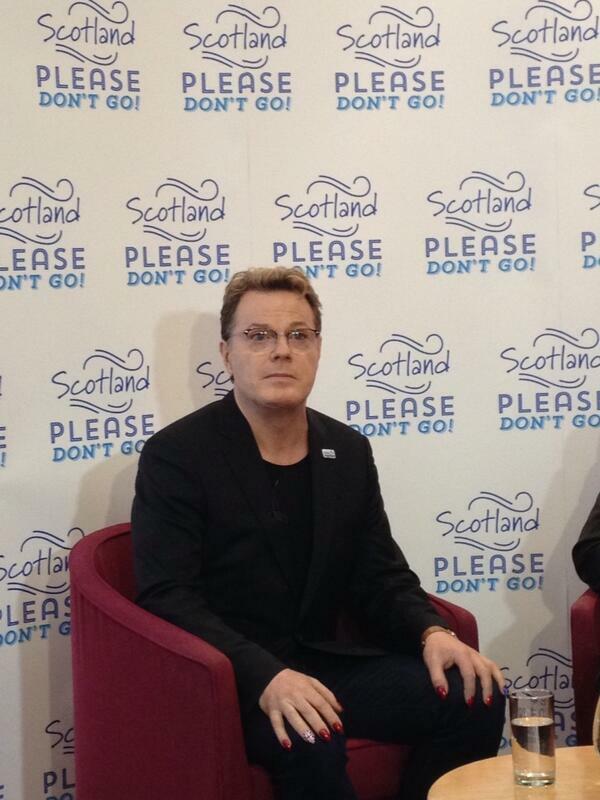 Eddie Izzard has joined David Bowie in urging Scots to reject independence in this year's referendum. ITV News Scotland Correspondent Debi Edward is at an event with the comedian and the head of the Better Together campaign, Alistair Darling. Eddie Izzard confirmed today he will stand for London Mayor in 2020. It comes after the comedian previously suggested he wanted to pursue a career in politics. Eddie Izzard has said he is ready to take the flak for wanting to pursue a career in politics.